Mount Kailash, called Kelasa, Mahameru, Meru, Sineru or Neru in the Tipitaka, is a 6638 meters high peak in the western Himayayas (A.I,227; Ja.I,321; III,210). The Tibetans call it Khang Rinpoche. The commentary says the mountain is bent inwards `like a crow’s beak' which is a clear reference to its unusual bent pyramid-shaped summit. Although by no means the highest peak in the Himalayas the much lower mountains nearby make it look high. By any standards is is an incredibly impressive mountain. 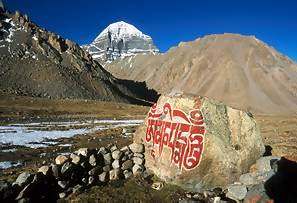 In ancient Indian geography, Mt Kailash, more commonly called Mt. Meru, was believed to be the point at which the four continents met, the highest mountain on earth and, according to later cosmology, the place where the gods dwelt. Hindus believe that Siva and Paravati dwell on the mountain and the Jains believe that one of their Titankaras was enlightened there. It is sometimes said that Mt. Kailash is ‘sacred' to Buddhists, Hindus, Jains and to followers of Bon, the indigenous religion of Tibet, but this statement needs to be qualified as far as early Buddhism is concerned. While the early Buddhists glorified Mt Kailash for its size, majesty and beauty, they did not believe that it had any spiritual powers as such. According to the Buddha, going to `sacred' mountains, trees or shrines cannot give any genuine spiritual benefit (Dhp.188-92). However, in the Tipitaka, Mt Kailash's perceived characteristics are sometimes equated with the highest spiritual values. To have attained enlightenment was metaphorically described as having `touched great Neru's peak' (M.I,338). The mountain's immovability and equanimity were also seen as traits worthy of emulation. However, other characteristics of the mountain were considered less admirable. Legend said that it gave off a golden light which made the animals that lived on it, noble and ignoble, all appear to be the same. In other words, it lacked discrimination (avisesakara) and the ability to distinguish (navibhajati) between skilful and unskilful, good and bad, foolishness and wisdom (Ja,III,247; V,425). The Jatakas uses this legend to make a very important point. In contemporary Western society, there is considerable reluctance to express disapproval of any belief, no matter how unrealistic, or any behaviour no matter how immoral. When opinions about such things are made hastily or with bias, when they become a means of avoiding looking at oneself or when they lead to self-righteousness and smugness, such reluctance is more than justified. But having philosophical ideals and ethical values and then living by them, requires us to be discriminating, to make informed judgments and to chose one idea or course of action and reject others. This is how wisdom is developed. "Legend said that it gave off a golden light which made the animals that lived on it, noble and ignoble, all appear to be the same." 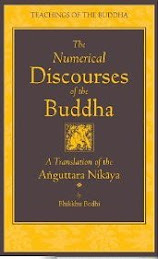 Bhante, the first imagery from this sentence made me recall the undiscriminating quality in metta. Of course, we would need wisdom to discriminate between different individuals to interact with them skillfully, right? I think mount Kailash is not the Meru mountain that lies in the centre of the indian buddhist map, that has become well known in recent decades. This map in question must be very old, more than 5000 years old, in it Sun and Moon circle around the Sumeru mountain, and therefore I propose that Antarctica is the mountain Meru that lies in the centre of the world. Sun goes above the Equator and makes a perfect circle round the Antarctica-Meru. The continents around Meru would be: India, Africa, Australia & South-America,(corresponding to Jambudvipa, Videha, Godaniya & Kuru). This map predates the invention of magnetic compass and so the compass directions of the continents are not valid here. According to compass four continents are to the North from Meru-Antarctica! The North pole ice sheet would be the surrounding mountain range Cakravada. 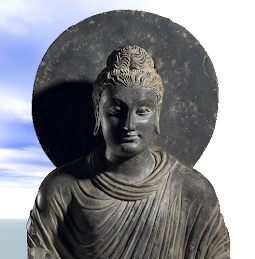 Mount Meru can NOT be Antarctica, even if we look and both Hindu and Buddhist philosophical accounts, or geographical and anthropological reasons. It makes perfectly logical sense to identify Meru at the Himalayan Region. But in the religious descriptions, there are always both terrestrial (geological) descriptions which gross eye normally can see, and celestial (divine) elements as realms of 4 great kings and the 33 kings which is not visible to the gross eye. According to Pali dictionary, The name chakkawala is given to a whole world-system, there being countless such systems. Each Cakkavāla is twelve hundred and three thousand, four hundred and fifty yojanas in extent and consists of the earth, two hundred and four thousand nahutas of yojanas in volume, surrounded by a region of water four hundred and eight thousand nahutas of yojanas in volume. This rests on air, the thickness of which is nine hundred and sixty thousand nahutas of yojanas. (as science knows, in the middle of the earth is hydrogen and helium reaction is taking place, as in the sun) In the center of the Cakkavāla is Mount Suneru is one hundred and sixty-eight yojanas in height, half of which is immersed in the ocean. Around Sineru are seven mountain ranges, Yugandhara, Isadhara, Karavīka, Sudassana, Nemindhara, Vinataka and Assakanna. The mountains are inhabited by the four Regent Gods and their followers Yakshas. Within the Cakkavāla is the Himava mountain, one hundred leagues high, with eighty-four thousand peaks. Surrounding the whole Cakkavāla is the great protection wall Cakkavālasilā (as science tells us The Earth also has stratosphere and an ionosphere that protect the earth from comic ray from the sun and the universe). Belonging to each Cakkavāla is a moon, forty-nine leagues in diameter, a sun of fifty leagues, the Tāvatimsabhavana which is on the top of mount Meru (realm of the33 kings, where the king of gods Sakka, the vajra holder lives with his retinue, Indra being his pre-Buddhist name, and this being the 2nd sensuous realm with in earth realm itself), the Asurabhavana(bottom of Meru), and the Avīcimahāniraya hell (worse and the last of the hot hells)and the Chakkawala has four great mahādīpas, they are, Jambudipa (this seems to be coincide wth Indian, middle Eastern region, where all of the major world religions have come to birth. 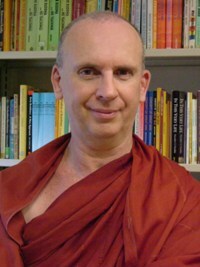 Buddha states that Jambudipa people inherit three special characteristics that they surpass people of the other 3 continents- These people have devotion to religious life, mindfulness and courage, because of these special quality of karma, higher Bodhisattvas and all Buddhas are told to be born in Jambudipa) Other continents beings, Aparagodeniya,Pubbavedeha, and Uttarakuru (there is wast amount information available from Buddhist commentaries about this place and also Buddha mansions it in few suttras as well. But most geographically convincing evidence is that it says when it is morning in Jambudipa it is night time in Uttarakuru, and Uttarakuru lies north of mount Meru,Geographically if u look at the globe from Himalaya mountains the American Continents are right one the opposite side of the globe to Asia, which is far north of mount Meru starting from Canada. The Buddhist descriptions in about uttaruru people´s behavior, living, and customs sounds very much like that of Maya, Azteck and Inca civilizations) Each mahādīpa surrounded by five hundred minor dīpas. Each four continent of the chakkavala is govered by one of the great kings of Chaturmaharajika heaven (1st of sensual pleasure reams, the relam of 4 great kings). 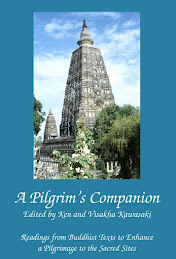 Between the Cakkavalas exist the Lokantara Niraya (in Mahayana what is know as cold hells). 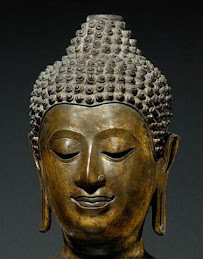 A sun can illuminate only one Cakkavāla; the rays of light from the Buddha's body can illuminate all the Cakkavālas. In Tibetan Buddhist 37 point Madala offering to the spiritual teacher and the Buddhas, the whole Chakkvala with its treasures and all the chakkavalas in the three thousand world systems are offered as a supreme mental offering. As you say it is night in Uttararkuru when it is day in Jambudvipa (India), therefore Uttarakuru indeed is South-America! Sun goes around mount Meru only if it is in Antarctica, as we said earlier. Tip of the huge mountain that is an upside down pyramid shape is in Antarctica, to be more precice. When we look up during the day we see the blue sky which a side of mount Meru, or a reflection of it that we see in the human world. At night we see it's crystal coloured side, which means that we see through it the distant suns as stars. The ruby coloured side we see sometimes as the red sky at sunset, and the golden coloured side of mount Meru is the golden dawn sky. As to the surrounding rings of mountains I don't profess an explanation, maybe they are symbolic for the hindrances that you encounter when you try to reach mount Sumeru? If you are familiar with a branch of geometry called Descriptive Geometry, you will know that it is possible to draw an accurate two dimensional representation of a three dimensional object, like the Planet Earth. Of course theoretically you can make such a projection of the Planet Earth so that any given point of the Planet is at its centre. Because the flat earth projection must be such that the Sun goes around its centre only two altenatives are left, the centre is either in the North Pole or in the South Pole, Antarctica. For various reasons the South Pole seems the more logical alternative.